Kona Cotton from Robert Kaufman Fabrics is 30 years old this year, and they asked 30 designers to create 30 quilts to celebrate the occasion. Today is my day on the 30 Quilts for 30 Years Blog Hop. I'm so excited to share my Lotus Quilt in Kona with you. When I starting pulling fabrics for this Lotus quilt I was also working on my wedding quilt... so those colors were kinda stuck in my head. At first I was thinking I'd use blues for one set of blocks and greens for the other... But I ended up splitting them more by darks & lights. I picked the colors Honey Dew & Storm for the background triangles. Here is a complete list of all the colors I ended up using. I picked Caribbean for the binding. Lotus is one of my Hex N More ruler patterns. 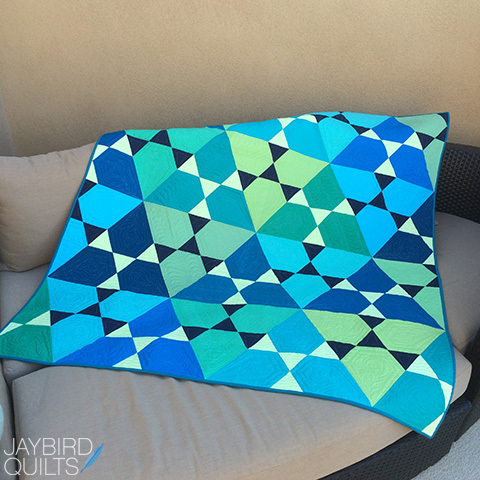 You can find the pattern and the ruler at online and local quilt shops. I think it is really cool how Angela quilted a medallion into the center of the quilt. More detail of Angela's amazing quilting. I used a bunch of the trimmings from the front to make my quilt label strip on the back. Here I am showing the quilt at schoolhouse during Quilt Market. After I made the Lotus quilt I decided to make a Mini Lotus in the same colors. 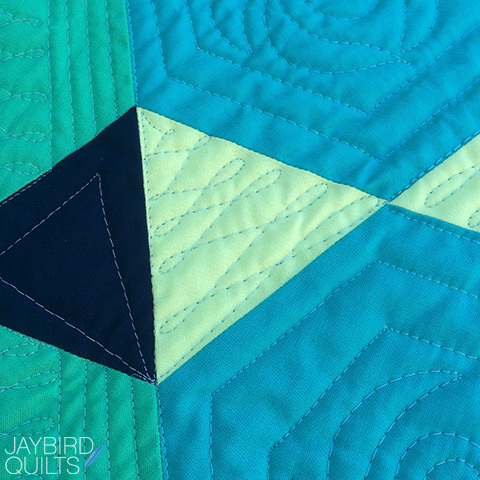 I wanted all of the colors to be in the exact place, so I sewed together my triangle scraps in the exact order of the blocks. I pinned it up on my design wall for easy reference. All the mini jewels cut from my Mini Hex N More ruler, lined up and ready for piecing. Here's some detail of Angela's amazing quilting on the Mini Lotus. Here is the Mini Lotus hanging up at quilt market on the Bird on a Branch Ackfeld Wire Quilt Hanger. 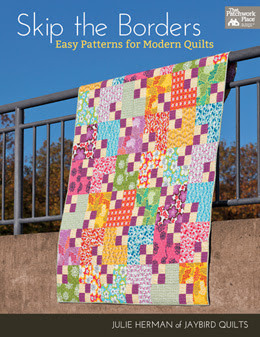 And I have a Kona 30 Quilts for 30 Years Giveaway for you today, too! You can win a Kona Sunset charm square pack, my Mini Lotus pattern and a Mini Hex N More ruler! 2. 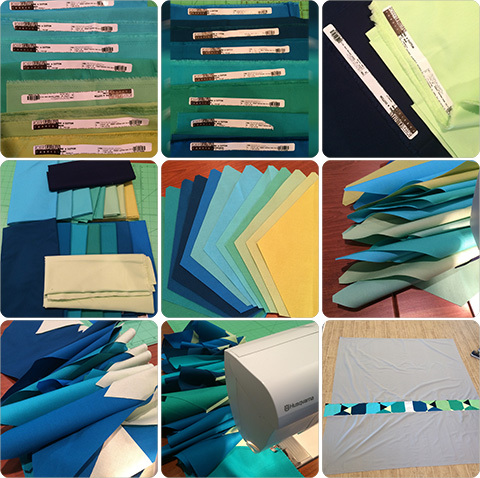 In your comment tell us about a project you're inspired to make with Kona Cotton fabric. You have till 2PM PST on Saturday, November 15th to enter. I would love to make a rainbow HST quilt. Great colour choices. The quilt is awesome. Thanks for the giveaway. I love mini quilts. Thanks for a chance to win! Love the colors and they are perfect with the Lotus quilt. I will have to check out the others on this celebration hop. I am inspired to make your lotus quilt! What lucious colors. I have been inspired by some gorgeous Kona Cotton totes and want to make one of those soon. 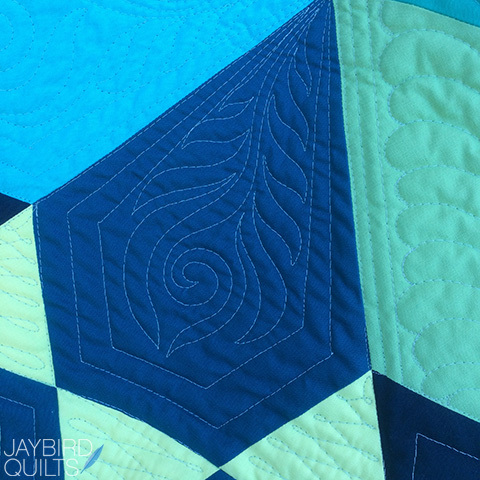 I adore your new pattern, the jewel shape has my attention at this point, so your quilt is right in line with my current focus. Thanks for the inspiration. I am inspired to make Gravity some time in the future, it is really stunning! I want to make one of your designs, but I'm still not sure which one. Thanks for the chance! I would like to make some pillow covers. Love your quilt! 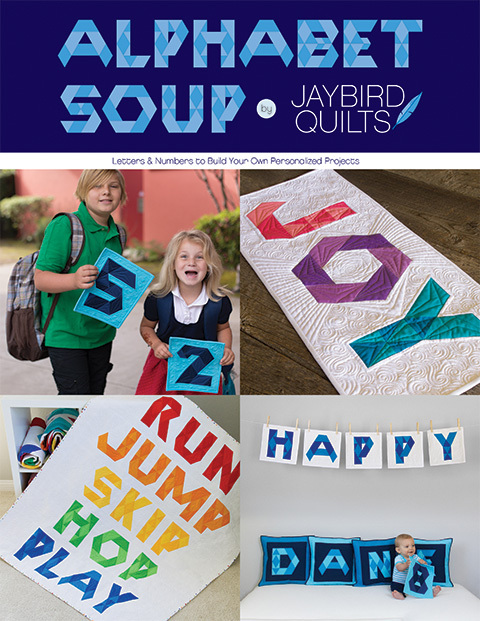 I have never made a mini-quilt, but would try with these solids. I am actually making a quilt with some Kona right now. What I have learned so far is that I need a Kona color card. I would love these charms to make another delightful solids quilt set in Kona Snow, which I already have waiting for a project. Love your quilt! I am working with Kona Snow on two projects right now. And have made a Super Mario Brothers quilt from all Kona fabrics about two years ago. It's a great fabric to work with. You always pick out the best colors! I'm thinking that I need to make Snacktime. I have everything I need, Kona of course. It looks like it is time for me to splurge on a color card. I want to use these to play with color in my dining room. Placemats, napkins, wall hanging! Wow! I love this quilt. The colors are so stunning. You have inspired me to make a quilt with these colors!! Thanks! This quilt is beautiful. I would love to make your Gravity quilt with Kona Cottons. wooohooooo love your work Julie and thanks for the opportunity! I'm waiting for the Gravity pattern to be released to make with the Kona Solids!!!! I've never worked much with solids, but your Lotus quilt is so lovely that I'd like to give it a try. Love your quilt. It is so beautiful. I have been inspired to make Rita Hodge's quilt from Red Pepper Quilts using the Kona solids. Thank you for the giveaway. I am making a sewing machine cover using Kona solids right now! Thanks! I love this quilt. Absolutely adorable in the mini. The fabrics are beautiful. I would like to make your mini - it is mini-licious! I am so in love with Gravity. Thinking of asking for it as my Christmas present. I would love to make a Hug & Kisses quilt using Kona Cotton fabrics. Love the colors and pattern. Would make my own mini Lotus. That is absolutely beautiful. And your points are perfect!!!!! Thanks for sharing. I would make a Candy Dish pillow with the Kona charm pack. I love your quilt. I would hate to let it go also. All of your patterns are wonderful. I had two daughters get married this year. Congratulations and enjoy your upcoming wedding. something with equilateral triangles i'm thinking. love the look of this! A stainglass window quilt sounds like something in my near future. I love your new Lotus Quilt! I use Kona Cotton lots as I often use the white in backgrounds of most of my quilts. I would love one of your Hexagon rulers- that looks nifty! Thanks for the giveaway! I'd love to make your Lotus quilt ! I love the colours you used too! 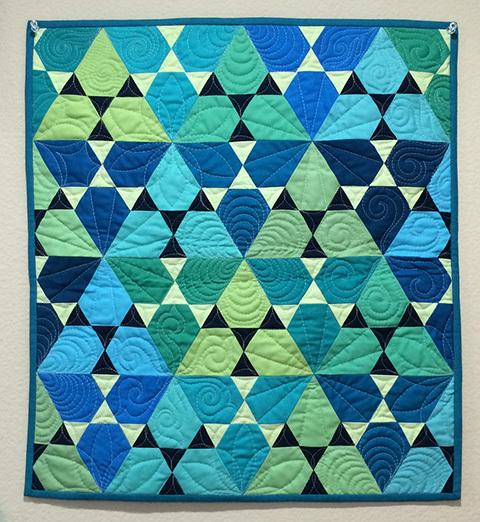 I've been inspired to make a sampler quilt using only Kona solids after seeing some of the amazing pieces in this blog hop. I came across one using only red, yellow, blue, black, and white and it really struck me how vivid and happy a quilt it was, so I'd like to play with that. Thank you for the giveaway! Great colors. I'm working on learning more shapes, so I'd use in the lap quilt I'm planning. This lotus quilt is my first favorite from the book and I would love to attempt it. I haven't had much luck with triangles, but I could use the practice. The colors are perfect also. The local quilters store is going to be featuring some of the quilts with lessons and I am hoping that your quilt will be one I can make. Love your art. Several free patterns in this bloghop are in my to do list. Beautiful quilts and the colours are gorgeous!! I would love to make a rainbow pinwheel quilt! I am currently working on a baby quilt in soft baby solids with just a little of one printed to tie them all together:-) Thanks for participating in the giveaway! I've already pre-ordered Gravity; I love Kona solids. It's my "go to" for my favorite projects. My perfect quilt work room would have a yard of every color on hand! One word "Lovely", I think I could tackle the mini, but wow a big quilt would be scary. The project I would pick is I've been wanting to make a chevron quilt before they go out of style. That is a beautiful quilt! The colors you used are close to the colors that I plan to use to make a quilt for my parents for their 45th anniversary. I think I might go with solids, as you did, and I know that Kona will have what I need! Thanks! I like the dark accents. I love using the black Kona for many of my quilts. I would like to try a mini quilt. HELLO,I would love to make the rainbow HST quilt. 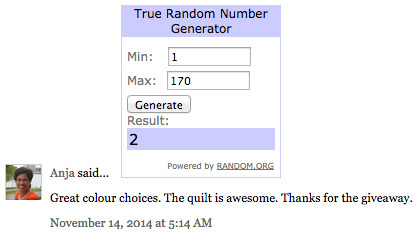 Thanks for your Blog+giveaway! Love this quilt and the fabric! I am inspired to make Lotus in these fabrics. Seriously, love it. I love that you made a mini version! I'm planning on making a modified x & + quilt for the new year but my + will be in the bright/rich Kona oranges (2-4 of them I think) and the sashing between them will be Indigo. Thanks very much! Love the Lotus palette. I'd like doping some multicolor hourglass quilt for my little girls. Thanks for giveaway. I've been thinking I need to make an all-solid quilt and maybe a mini is a good place to start! I love several of your mini patterns! I've also seen a quilt I'd like to make called "Water Ripples" in the book "Optical Illusions". The colors are similar to those in your quilt. Beautiful colours - very tranquil. Would love to have a go at your quilt - good practice at matching points!!! Thank you for the giveaway. I love all the new colors of Kona. I love using them, and want to try more colors. Your patterns inspire me so much, and I can't wait to try one. Lotus is on my wish list! Kona colors are so beautiful. I would love to make a quilted tablecloth and matching curtains for my kitchen with them. Thanks! Please clock on the delaineelliott above for my email link. I want to make your Park Bench pattern with Kona solids. Thanks! OMG! That quilt is a geometry teacher's dream-not me! Love the color combos. i love Kona's grays and have used them in two quilts in the past year. I love the solid colors of the Amish quilts-they inspire me to create the same feel with my quilts, heavy contrast. The quilt I've always wanted to make: a Double Wedding Ring. I think it would look wonderful in solids! I am making a picnic quilt out of Kona right now. Love your quilt, the colors are gorgeous! My granddaughter is requesting a rainbow quilt. I believe there is every color of the rainbow, and then some. Thanks for the chance. I love the colors you chose for your quilt. I have been planning to make a 1,000 Pyramid quilt. Kona's wonderful colors would be perfect. Your work leaves me inspired. I really love the colors you choose for your quilts. I have the Night Sky pattern and plan to make it in the Kona colors. 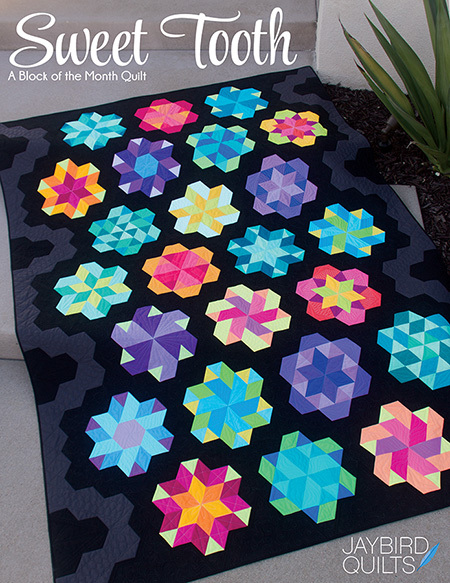 I want to try a double wedding pattern with Kona solids, but I live your quilt and the colors! Its beautiful, and has been put on my list to try. I want to make one of your mini Science Fair patterns with Kona Solids! I really like the mix of cool colors in your quilt. 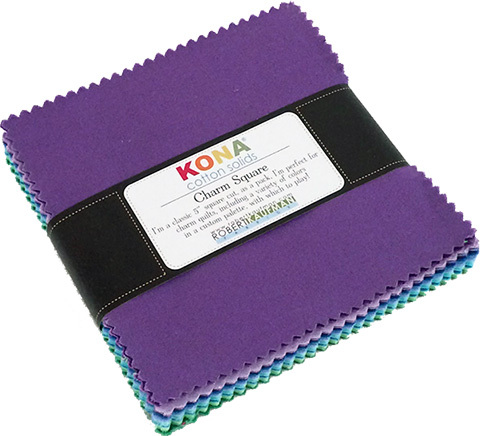 I would like to make a mini quilt with the Kona solids. another fantastic pattern, great job! I would make a pretty little tote bag or coin purse or both! I would love to make a quilt out of solid half square triangles!! I'd use 4 or 5 different solids and just randomly arrange them. I still would like to make your Daybreak quilt, but have tried to order it twice, and they were sold out by the time they got to my order. I will find it one day! Love your Lotus quilt! Ohhh- I have to say I'd love to use the KOna with your mini hex ruler, as they are terribly difficult to get here in Germany! My mum has been dropping hints for new placemats and a table runner, so I think that would be an ideal Kona & Hex project! 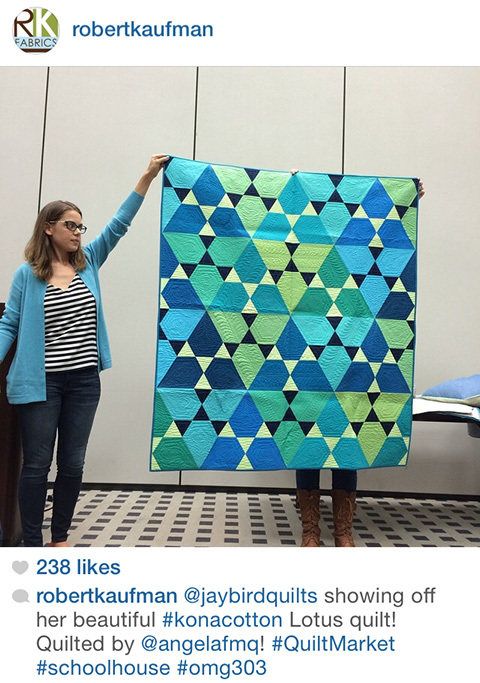 I want to make a 1600 quilt with solids...looks so cool. 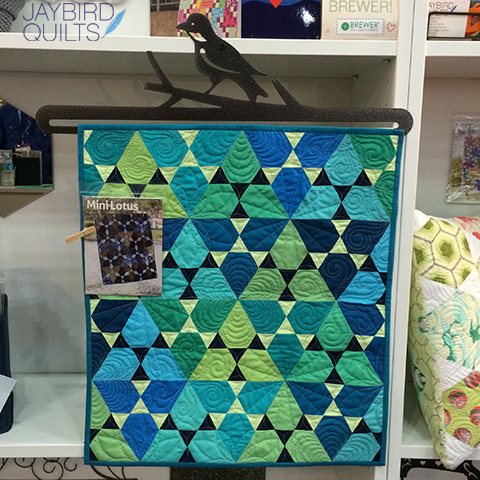 Thanks for the post of your beautiful quilt! I would like to make a mini quilt or a rainbow quilt... maybe a mini rainbow quilt! Your Lotus quilt is inspiring in these Kona colors. I would love to make your Jawbreaker pillow pattern in Kona cotton. Your Lotus quilt is beautiful but I adore your Chopsticks pattern the most,and am thinking of trying it using all solids in shades of Kona purples, with Kona snow sashings. Thanks for the chance to win! 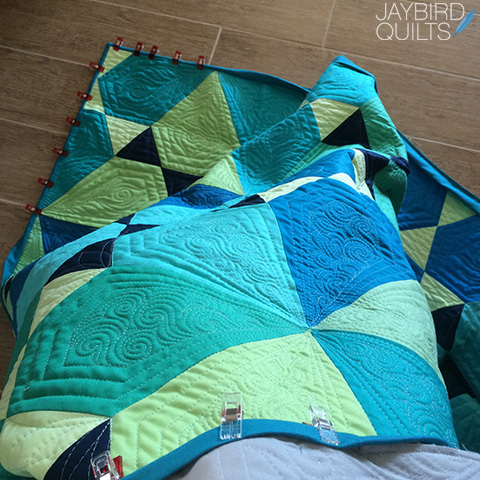 I have never made a "mini quilt" but have seen patterns in my LQS for them. This would be the perfect opportunity to make one for my quilting room! 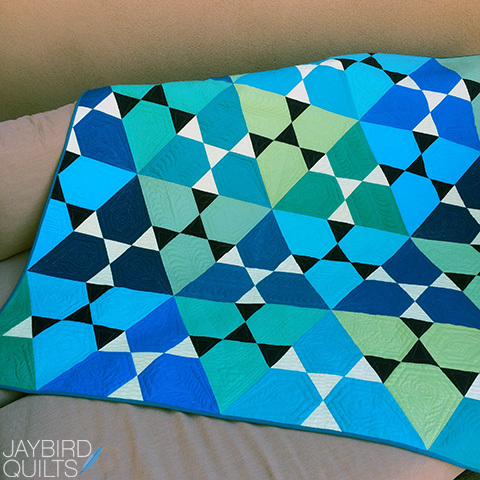 I've never made a quilt with just solids - yeah, it's true! My birthday gift this year is a new couch, both a want and a necessity. I picked one from Ikea that is crazy busy with color and I am planning a three color quilt to tone down the business using Kona Pepper, Kona Snow, and Kona Steel. 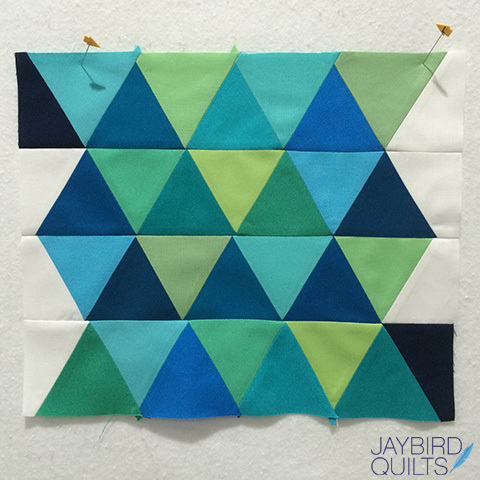 Your color choices make your quilt design pop! I absolutely LOVE it. beautiful work. I have been working on a design for a wall hanging to go above our bed in our bedroom and want to use Kona solids. Thanks for the chance! Gorgeous quilt! 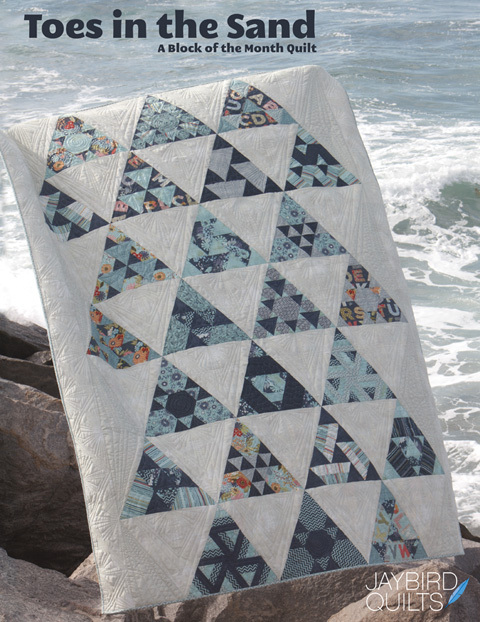 Your sneak peak for the gravity BOM quilt has got me thinking that would be fun to make with pretty Kona fabrics!! Hi Julie, I'd miss that quilt too! It's gorgeous! 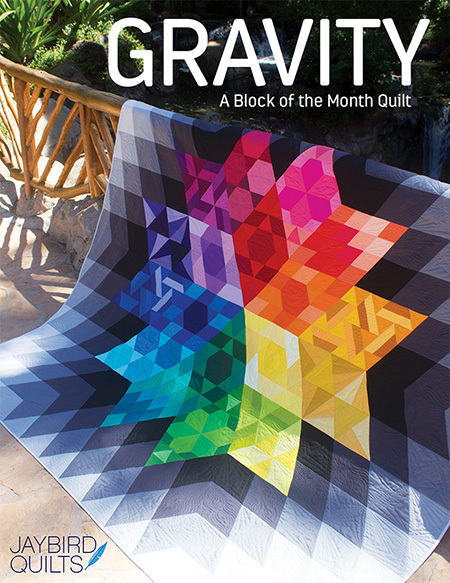 I'm inspired to make your Gravity Block of the Month quilt with some Kona solids. You can't go wrong with either! Happy Anniversary to Kaufman Fabrics! OH WOW! 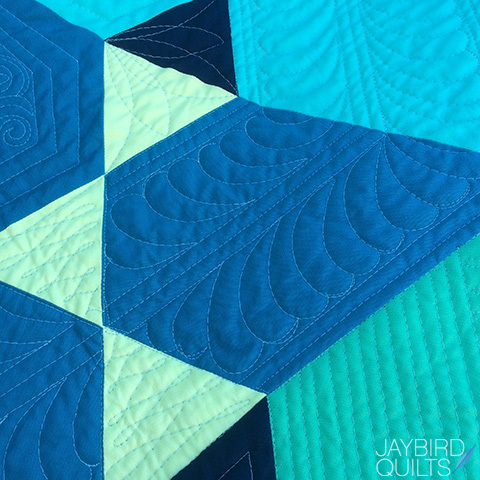 I just adore the color choices you used in the quilt. The Lotus Pattern shows the fabrics off beautifully, and vice-versa. I would love to do a mini lotus in the Kona Fabrics, as the effect is just stunning! Your Lotus quilt is amazing! 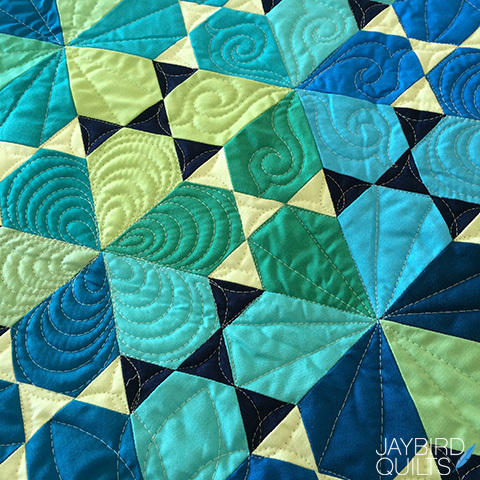 I am enjoying the quilts on this bloghop. I would LOVE to make the Mini Lotus and the Mini Tiny Dancer quilts. I can't decide between wall hangings or pillows. i've been going from making totes/purses to making a jacket from old sweatshirts. It's snowing where I am, colors in the lotus quilt, bring in summer, as have other quilts on this blog hop. 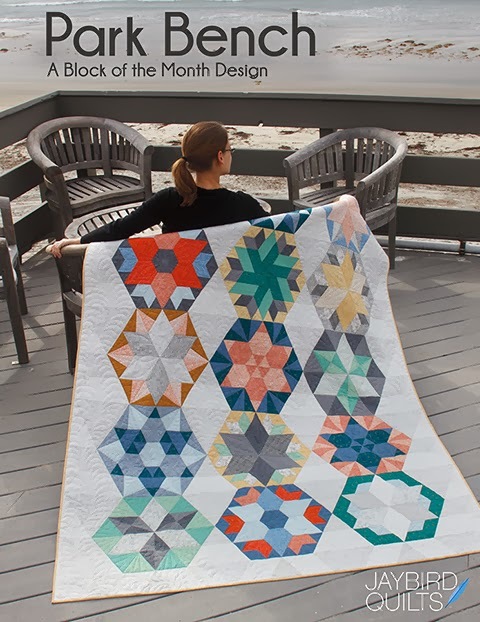 I've got an all-Kona medallion quilt project ongoing, but I have to say you've made it really tempting to pick up a Gravity kit when they're available! Cant say which quilt I would make just yet...but am sure many happy hours browsing my choices would be spent before I made up my mind! 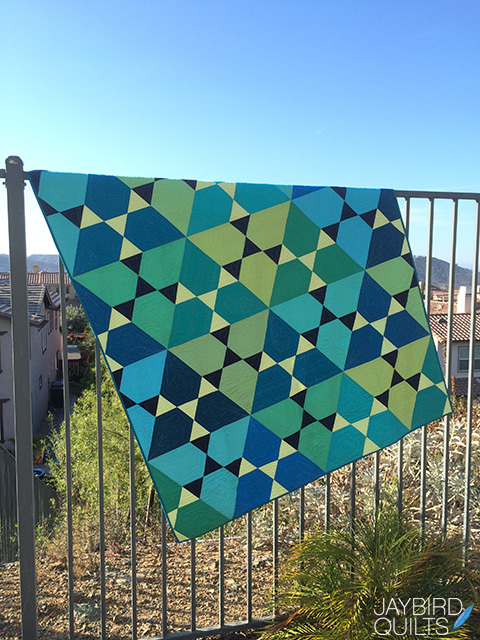 I made a modern hexagon quilt using Kona charm squares and a solid background, also Kona. My first original quilt! 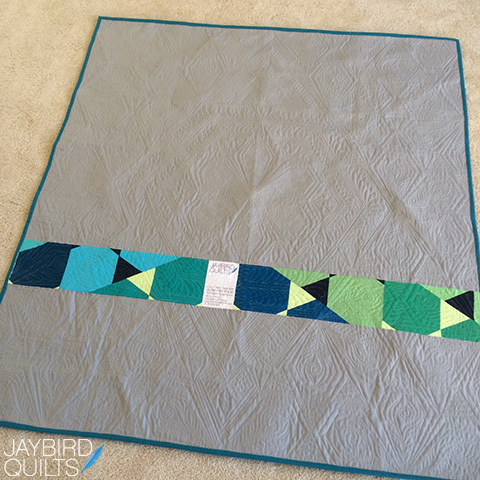 I'd love to make another quilt in solids - maybe Glimmer? The colors you chose are soothing. I would use the Kona solid pack in my LQS challenge this winter. Thanks for the chance to win! Your Kona Lotus and Mini Lotus are fabulous. Before, or just after Christmas, I hope to start my Night Sky quilt. I love all your patterns and rulers. Thanks for them. Thanks also for sharing and offering a giveaway. I want to make an xbox tote for my man to carry his baby over to friends' gaming house. Would love to use a kona solid charm pack to make one of your minis. Your quilt is fantastic, amazing quilting!!!!! I'd love to make a pineapple quilt with Kona solids. I'd make this mini and see how i could make it work in different colors! Kona makes me want to work only in solids! I would looove to make Tiny Dancer pattern in Kona! I would love to make a patchwork Christmas table runner with Kona Cottons. I know it would be gorgeous! Oh my how can I choose just one. I love using Kona solids for everything. Working on lap quilts for my nephews now. 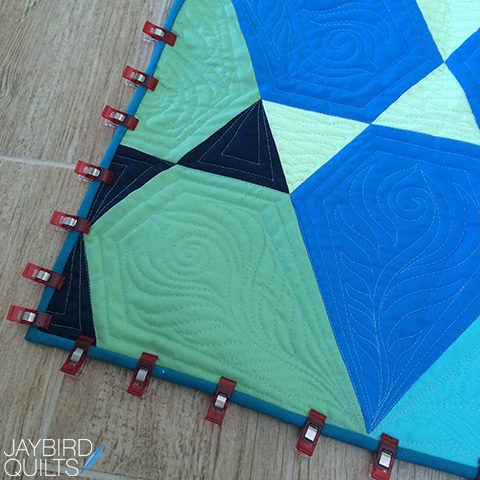 The quilting on both the full-size and mini Lotus quilts is phenomenal! I would like to make a quilt with Kona Cotton solids that would enable me to really play with FMQ, so lots of big pieces with bright, bold colors. I'd love to use them for your Fast Forward pattern! It has such great movement! I love love love kona solid colors for geometric shapes. It just makes such a statement! Julie, you have outdone yourself on this quilt! I love the colors you have selected. I would like to make the Mini-Lotus. Thanks for the opportunity to win. I love the colors! Love, love, love your designs! You always have such wonderful color combo's! I would love to win this giveaway! Thanks for the chance! Love love love kona solids! Such vibrant colors. Your lotus quilt is gorgeous. I would start with a smaller project - probably a patchy bag. Thanks for the nice giveaway. I am making a baby quilt right now with kona cotton! Your quilt is amazing. Great choice of colors! I'd probably make a rainbow pinwheel quilt! I'd love to do a table topper with this one. Such fabulous colors. I would love to make your Lotus quilt! Wow, I love it; colors, pattern, everything. Thanks for the giveaway. I would love to use Kona fabrics to make an floral applique wall quilt. 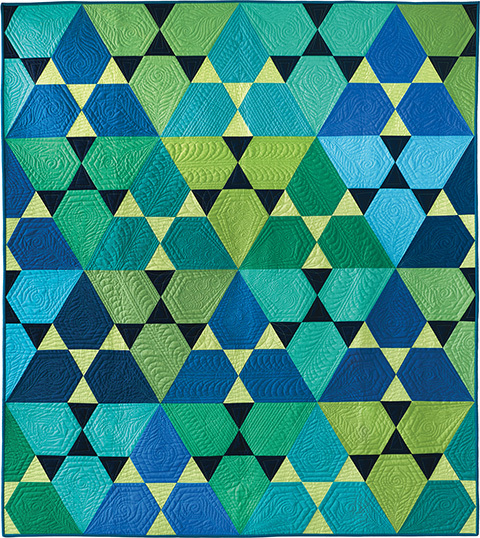 I love working with solids--somehow quilts made with solids remind me of stained glass windows. But, I think my next solids project will be cushion covers. They'll be jewelery for a white sofa. I've enjoyed all the stops on this blog hop so far. 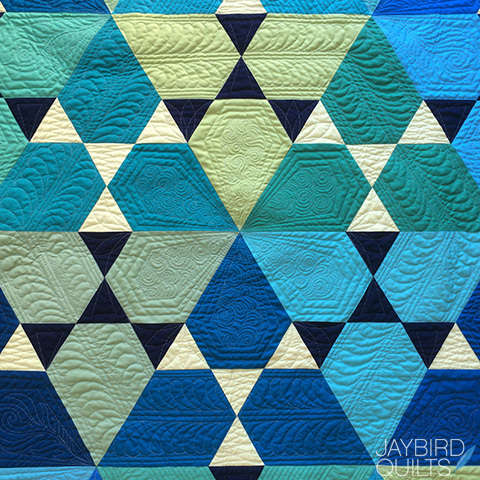 It's amazing to see how lovely quilts made from solids can be. The project that is calling to me right now is Arcadia Avenue by Sassafras Lane. I love Kona cottons and would like to make my son a quilt with Black and Lagoon, based on the buggy he designed during his college years. I have always wanted to make a rainbow chevron quilt. I have some fabrics saved up, but need a few more greens and pinks and reds to complete my stash before I begin. It never ceases to amaze me how you designers are able to just come up with such great ideas out of the blue...I'm more of a pattern user type gal, not the creative type like you...nice job! 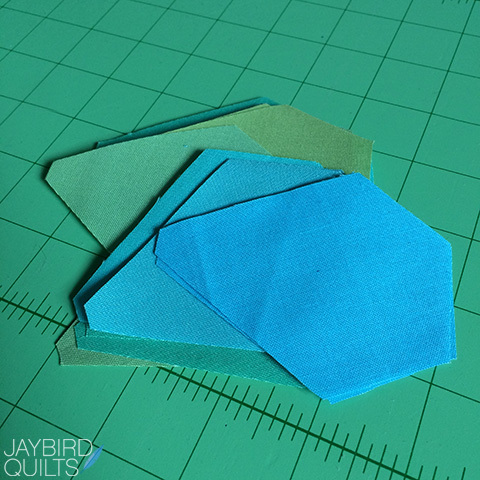 I'd make a fun little mini hexagon mini quilt! I will use this fabric to add to a 9 patch quilt I am sewing. I need solids! Your quilt is stunning! I love all of the rainbow colors! Thanks for a chance to win! I love this quilt but then again I love all of your patterns. I'm inspired to make a Kona quilt based on an antique quilt a friend of mine was given 70 years ago by his first grade teacher. I've never seen the pattern and it's perfect for Kona solids. I would probably make a Drunkards Path full of Butterflies. I love your quilts! Your quilt is beautiful! All my favorite colors! Thanks for sharing. I would love to make a lone star with Kona solids. Yummy colors, love the mini! I am thinking of making a log cabin quilt, improv style, in autumnal colors. Kona has such a great array of choices. The hard part won't be finding Kona colors to use in the quilt, it will be knowing when to stop adding beautiful colors to the ones I've chosen. What a gorgeous quilt! I love your use of color. Angela's quilting is amazing as always. Your patterns look so awesome in solids and I'd love to make Night Sky and Tiny Dancer, just to name two, hehe. I would love to make your mini lotus quilt! I love the colours of Lotus but i would make Bartow from Carolyne Friedlander too! I love your quilt patterns Julie. I am in Australia and have just received the pattern and Kona pack to make your Night Sky pattern. I am so excited about it. The fabrics are sitting right next to me now and I can't get enough of them. The Lotus quilt looks fantastic. Well done. I'd like to make a cute pillow. I love that colour pallet, it really suits the design. I think kona solids make great patchwork pieces, so either a quilt or a cushion. They look so good cut up and pieced back together. This is a quilt any mom would love to pass on to her daughter. I've started making more quilts that are just solids, and I always use Kona. I have an easier time picking the solid colors than choosing patterns AND colors. I'm getting ready to make a rainbow-stripe quilt out of two Kona jelly rolls. I love the colors! I love this Lotus quilt! 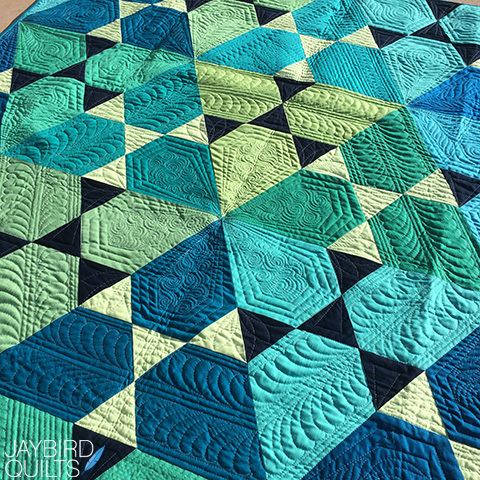 I have been collecting Kona solids in blues and greens to make a 60-degree triangle quilt, but this Lotus quilt has made me completely rethink it! The Lotus pattern is so much more interesting, and I adore the impact the Honey Dew and Storm triangles make on the whole composition. Angela's quilting takes it over the top! I love the colors you chose. 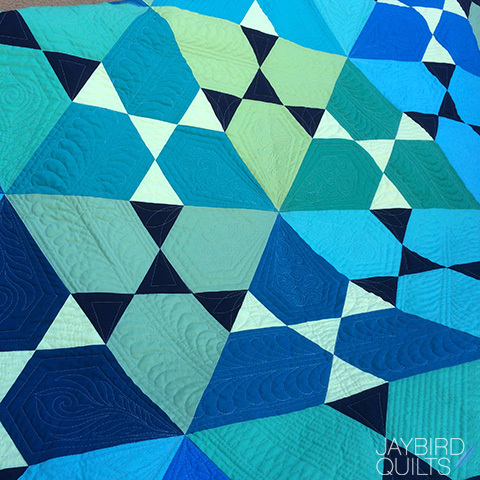 What a gorgeous quilt--it's like all the colors of the ocean! I'd be tempted to make something similar with Kona cottons, or perhaps a quilt that's all equilateral triangles. I'd love to make your mini lotus quilt either as-is or perhaps pillows or a table topper! Love the colors you chose too! Recently we redecorated my granddaughter's new bedroom and I have been searching for a pattern for her bed. This pattern and colors are PERFECT. Every color is in her room. Kona Cotton is my "go to" solid.She would love this combination. Thank you for the opportunity to win. Gorgeous. The quilting really sets off your design. 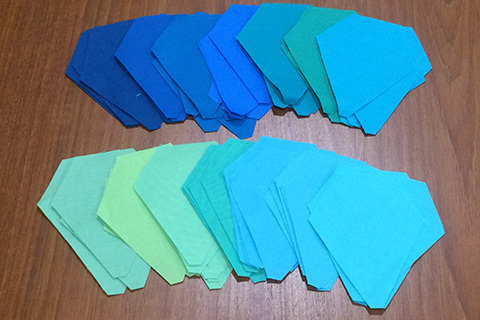 I've just finished making tangrams as holiday gifts for all the little ones in our lives and am hoping to make a rainbow pinwheel quilt and a garden scene with path and flowers and maybe a small pond using hexis made from Kona, Oh and baby clothes. I am a little bit in love with Kona I guess and have been stock piling Fat Quarters as I try to clear some working space. I am making a red and white quilt using pommegranite and snow. Its really striking.